With today being World Book Day I wanted to share this beautiful story I came across via AJ+. Muskaan Arihar is a nine-year-old living in Bhopal, India. Recognising the lack of resources available to children like her, and determined to encourage her peers to learn, she opened a free street library. 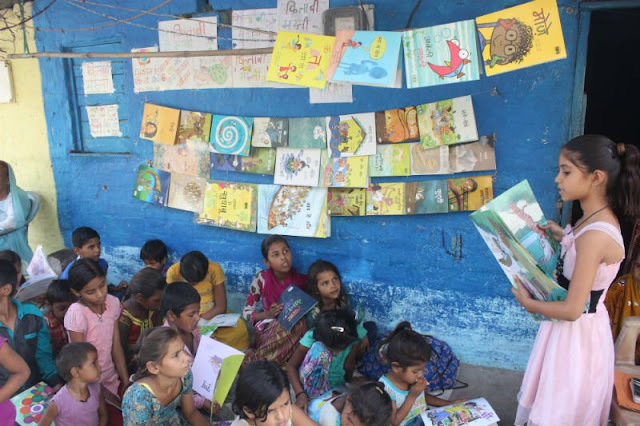 The library is based outside her home and is called Bal Pustakalaya, the translation being, 'Children’s Library', a fitting name encapsulating her mission; a library run by children for children. 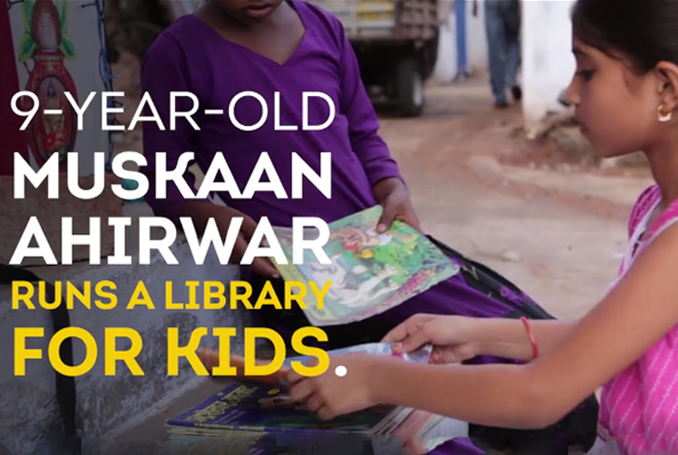 Each afternoon after a long school day Muskan heads home to open up her library. Children from nearby slums come to the library to have books read to them and the children are also encouraged to take books home so they can learn to read on their own. The library has seen a growing collection of over 119 books, including a donation last year by Room to Read, who provided books written in Hindi, the community’s local language. A wonderful female activist at only 9 years old, I think we'll be seeing a lot of Muskaan in the future. 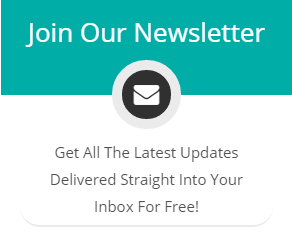 For now, though, you can see more of Muskaan's mission in the video below, or for more information about the charity Room to Read please follow the link here.